Photograph 1 - The Watch Tower at Desert View, Grand Canyon South Rim, Arizona. Photograph 2 - A condor in full flight, taken at Desert View, Grand Canyon, Arizona. 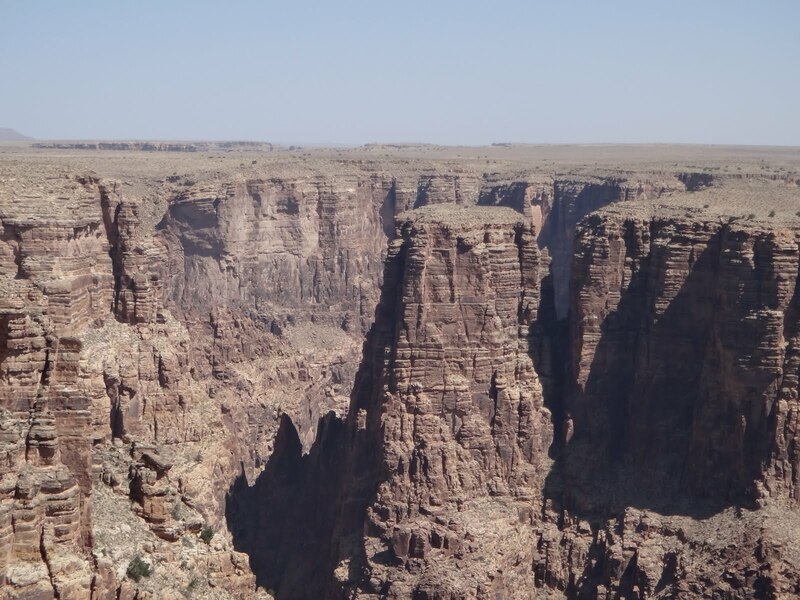 Photograph 3 - A view of the Grand Canyon from Desert View looking down into the bottom on the abyss. 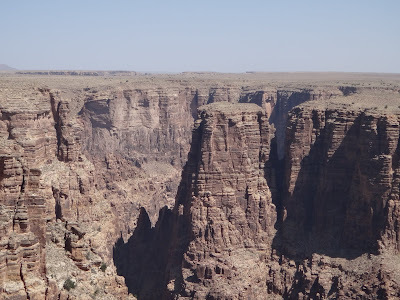 Photograph 4 - A view of a small canyon near the Painted Desert, Arizona. Photograph 5 - A view of a "spire" near Kayenta, Arizona. Photograph 6 - A Monument Valley mesa, Utah. 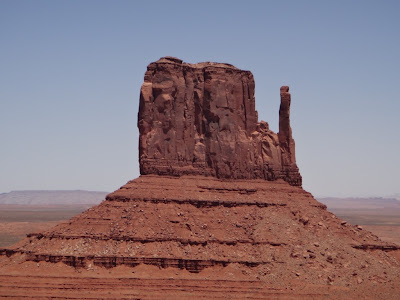 Photograph 7 - A panorama view of Monument Valley, Utah. Photograph 8 - See - we were at Monument Valley Utah. Photograph 9 - And another pose at Monument Valley - with "Connie" the convertable. 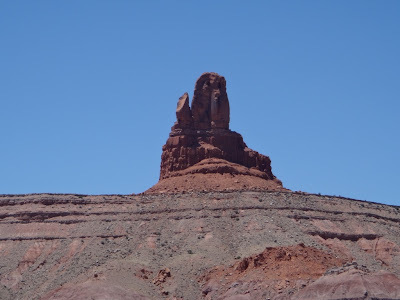 Photograph 10 - Leaving Monument Valley, Utah. 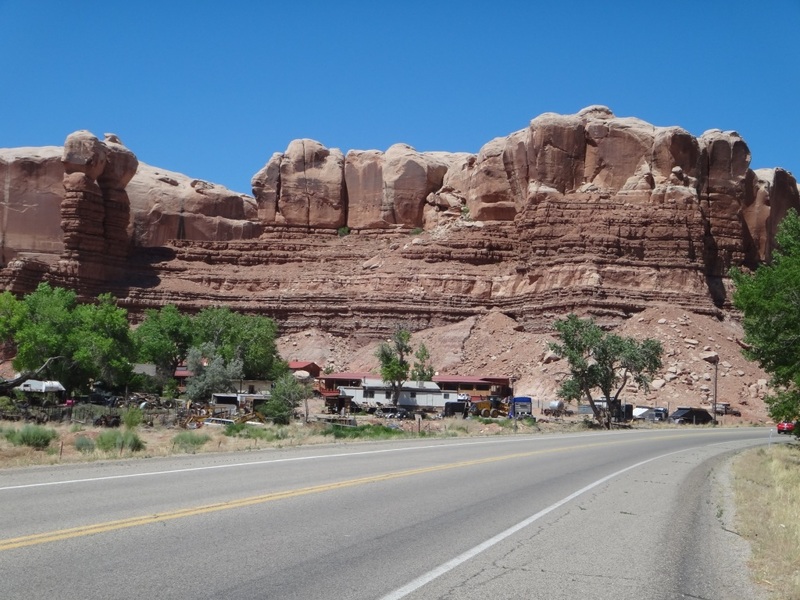 Photograph 11 - Passing through the town of Bluff, Utah. 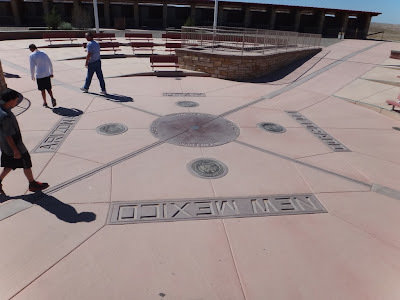 Photograph 12 - Four Corners - at the intersection of Arizona, Utah, New Mexico and Colorado. Lucky 13 - Anne on the Durango - Silverton tourist train, taken at Durango, Colorado. It was a nine and a bit hours of driving today – with some stops along the way. 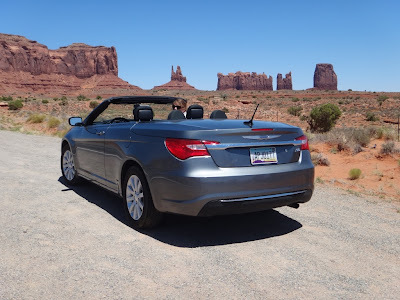 We left Arizona into Utah for a few hours and hence had our arms and legs on the four way corner embracing Arizona, Utah, New Mexico and Colorado at the same time – more about that later. 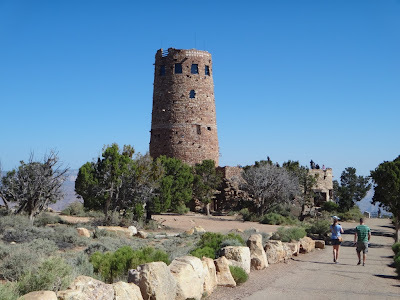 We departed the Grand Canyon South Rim about 7:45am and headed east along the eastern rim of the Grand Canyon reaching a location called Desert View. 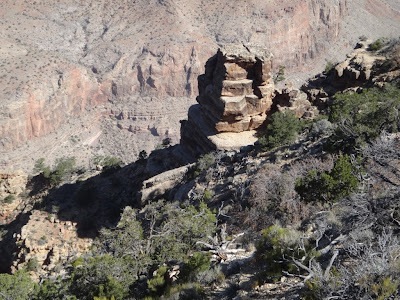 There is a tall tower overlooking the canyon from a different perspective. 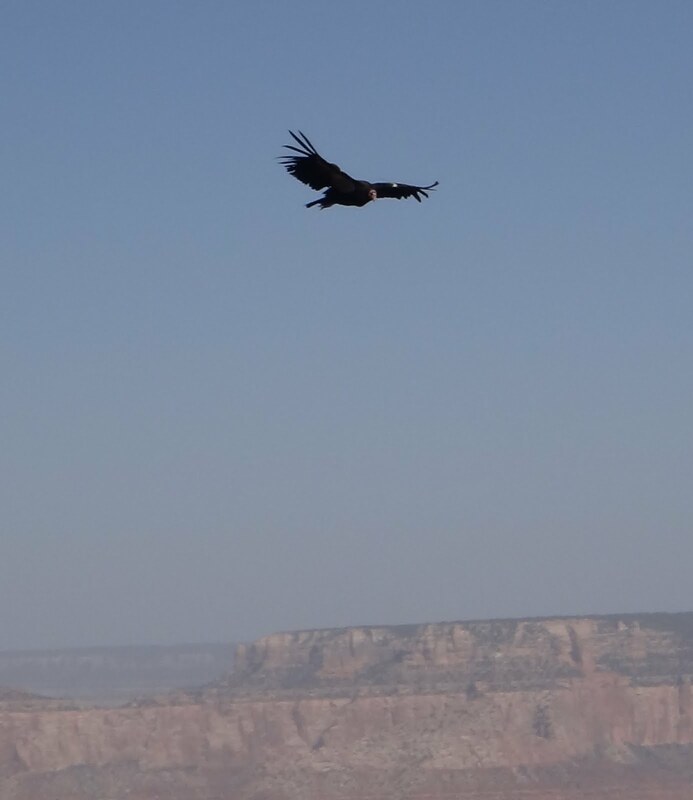 It was here we watched a condor circling above us – they are majestic birds and awe inspiring with their huge wingspans. We also found a hummingbird blending well within a cactus plant – again a marvelous experience. From Desert View we left the canyon area and found the Painted Desert. There were canyons that are deep but not wide – see the picture above. Travelling on we had lunch at a Navajo town called Kayenta and then travelled north to the Monument Valley Utah. 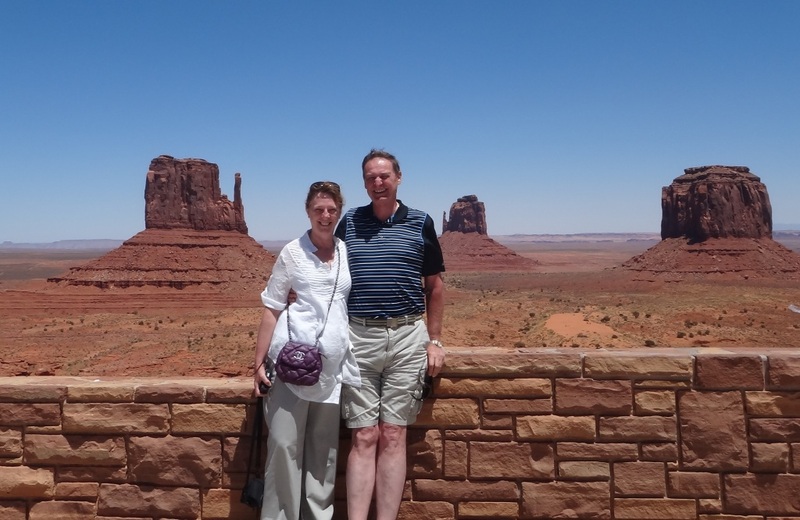 As you can see in the photographs Neil is an avoid John Wayne fan and was happy to stand on the same spot where the Duke himself once stood overlooking the scenery of mesas. 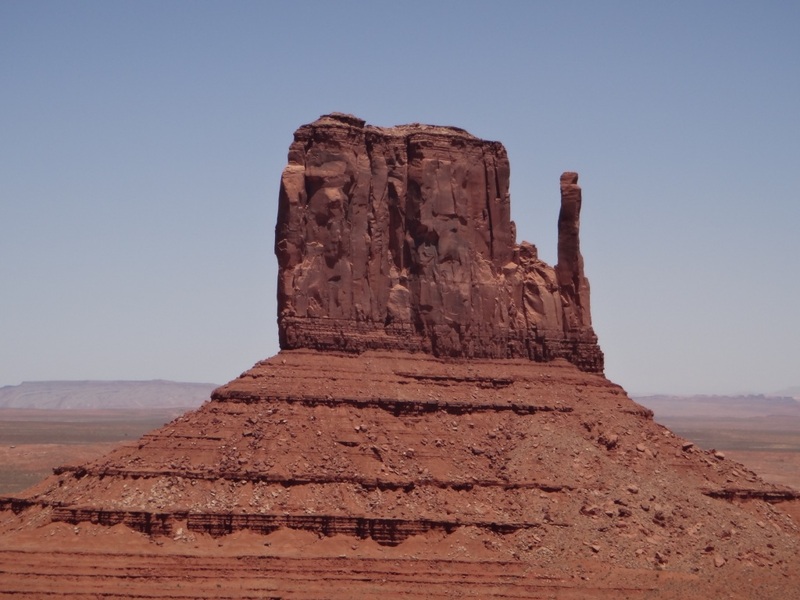 For those who are uneducated regarding the Duke’s movies Monument Valley was the location of many of his movies – Stagecoach, Rio Grande to name a couple. We had to pay $10USD to enter the Navajo Reservation in the valley but it was well worth it. We couldn’t understand why the temperature around the valley was a mild 30 deg C? Being a desert area and in summer we would reckon it to be well into the 40s. 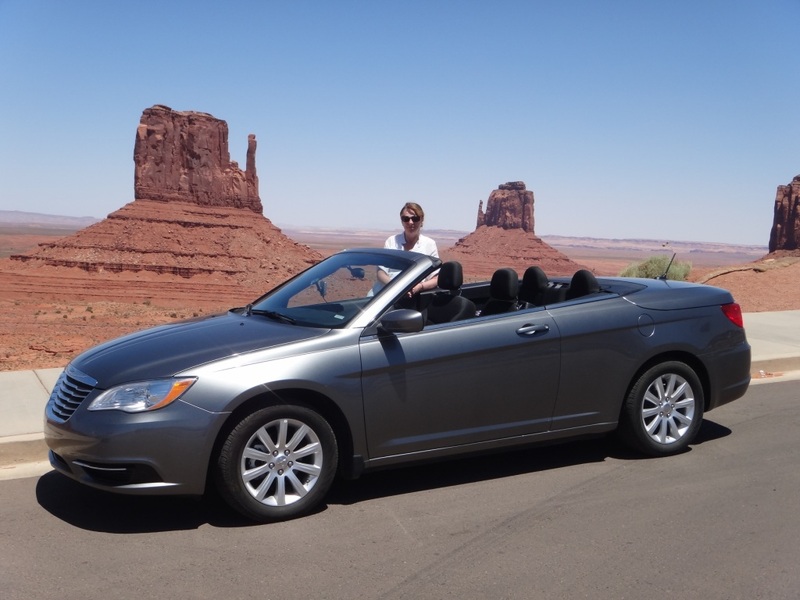 Because the skies were beautiful clear and the temperature was mild – the top came down on the convertible – a good experience. From Monument Valley we left Utah and into Colorado. 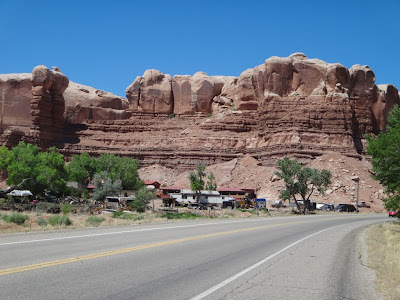 It was only a five mile deviation from our journey to Durango to visit Four Corners. This is the only place in the US where four states intersect each other. When we arrived we had to pay $6USD to enter the site – it’s on Ute land!!!! The Injuns around here have the tourist business all sown up!!! It is possible to have your arms on two states and two legs on the other two. We can faithfully say now that we have entered New Mexico – if it only was only within a few metres. From Four Corners we left the desert area and drove into Colorado to a place called Durango. 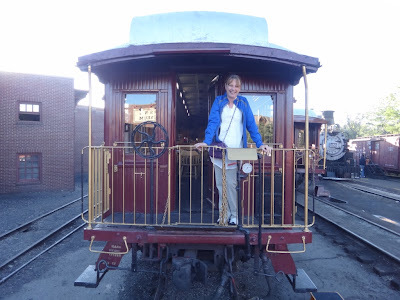 This is a typical cowboy town and witnessed the arrival of the local tourist train. We are staying overnight here and had Chinese for dinner – yum yum. Tomorrow we have a short drive to a place called Gunnison still in Colorado. We will be ascending the Rockies and into a bit of altitude. Also the journey through Ouray is known to be one of America’s beautiful drives. Cheers.